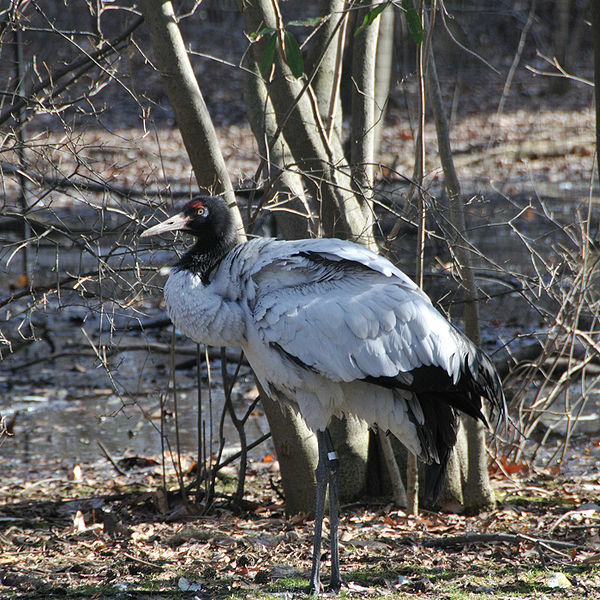 English: Black-necked Crane also known as Tibetan Crane at Bronx Zoo, New York, USA. This is a retouched picture, which means that it has been digitally altered from its original version. Modifications: cropped on three sides to a square. The original can be viewed here: Grus nigricollis -Bronx Zoo-8.jpg. Modifications made by Snowmanradio.